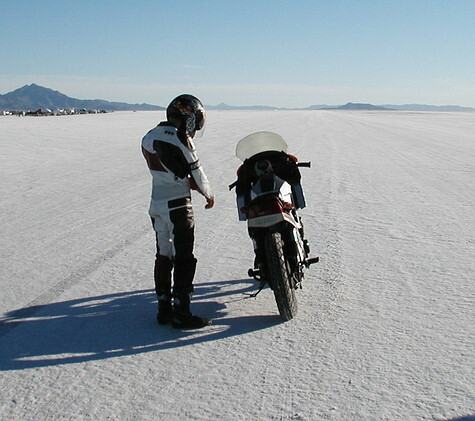 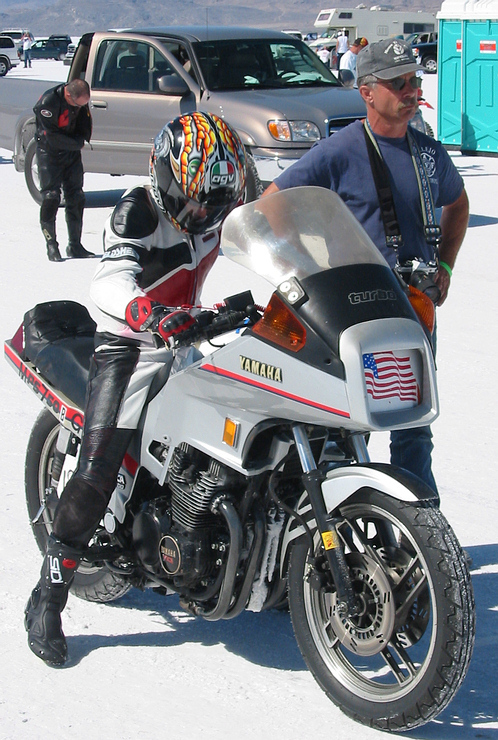 This is a few pictures of Jim Higgins son James when he took a Yamaha Seca 650 Turbo out to the Bonneville Salt Flats. 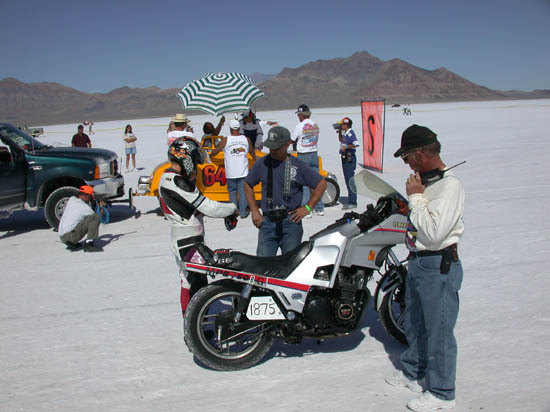 Turbo News #51 has the complete article. 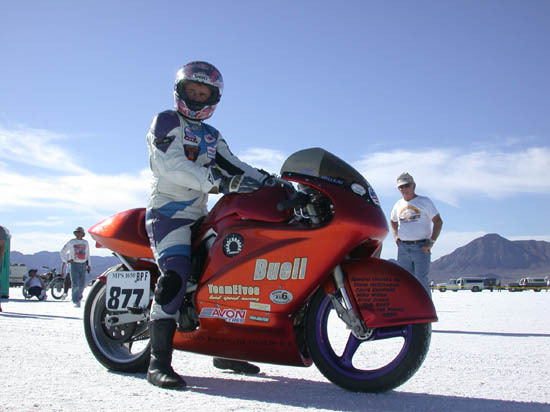 The last picture is of Jim Higgins on his Turbocharged Buell on which he did 177 mph!